The performance at the Strand in Providence, RI Friday night was great, including the music, the energy, the lighting and the crowd. Lead singer and keyboardist Nicolas Petricca was all over the stage and played to the crowd the whole evening. The venue was very crowed with the floor filled with a standing audience. The back, however, was occupied by the dancers attending the concert. Many danced to every song. As you would expect, that portion of the audience got much larger when the band performed their hit Shut Up and Dance. Everyone was singing along throughout the evening. As the evening went on, lead guitarist Kevin Colter Ray got more energetic. Kamikaze, Feels Good to be High and Tight Rope elicited an even larger response from the fans, although it may have been partly the excitement that built in the room throughout the night. 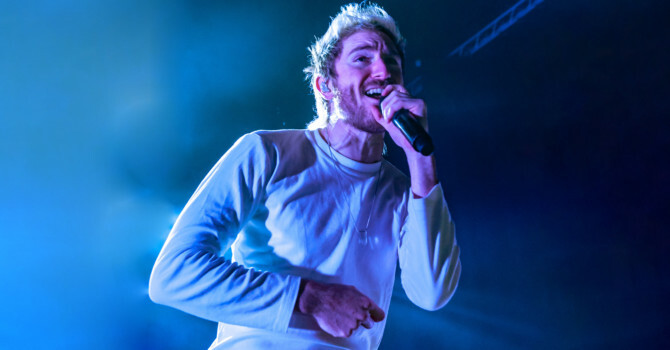 Walk the Moon provides the excellent performance that you would expect from listening to their music. Absolutely did not disappoint!